After Martin Luther posted his Ninety-Five Theses in 1517, the world would never be the same. The biblical truth that we are justified by faith alone in Christ alone would be heard once again, and lives would be transformed. 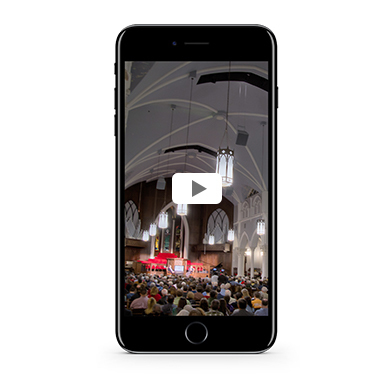 We invite you to join us October 30, 2017, at 6pm ET, for a special evening of celebration and thanksgiving streaming live on Reformation500.com, Facebook, and YouTube. R.C. Sproul will be joined by Sinclair Ferguson, Stephen Nichols, Burk Parsons, and Derek Thomas to explore the Reformation in brief messages that highlight the gospel, what it means to have peace with God, the historical setting of the Reformation, and more. This three-hour live event will be interspersed with teaching, questions and answers, songs of praise, and free resources. Join thousands of Christians from around the world as we remember and give thanks for God’s work through His church. At Reformation500.com we’re also hosting our Reformation 500 Resource Giveaway. Over 1,000 people will win a resource with a grand prize valued at $3,420.50, including a complete Reformation Trust library, a Ligonier teaching series DVD collection, a Reformation Study Bible, and more. Entries close 11:59pm ET on October 31, 2017, so enter today at Reformation500.com. Please share this invitation and resource giveaway with your family, friends, and church. If you live in Central Florida, you may attend this free event in person at Saint Andrew’s Chapel in Sanford, FL. Register here, and please be seated by 5:45pm in preparation for the live event at 6pm.